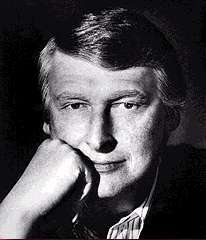 A childhood war refugee from Germany, director, producer and writer Mike Nichols first rose to fame in the late 1950s as one half of a popular comedy act with Elaine May. The team's humor was distinguished by a sharp eye for the foibles of male-female relationships and a bitingly satirical attention to contemporary social pressures. They met in 1953, performing with Chicago's Compass Players (later re- named Second City), and went on to Broadway in 1960 with An Evening with Mike Nichols and Elaine May. Following the team's 1961 breakup, Nichols first turned his attention to directing for the Broadway stage, where he was an immediate and long-lasting success with comedies like Barefoot in the Park (1963), Luv (1964), The Odd Couple (1965), and Plaza Suite (1968). Nichols earned similar acclaim for his film directing debut, 1966's Who's Afraid of Virginia Woolf?, the finest dramatic pairing of Elizabeth Taylor and Richard Burton. The film put the final nail in the coffin of the outmoded Motion Picture Production Code, demonstrating that adult themes could be sensitively handled and, not incidentally, draw a large audience. Nichols consolidated his reputation with The Graduate (1967), which won him an Oscar for Best Director. The film established Dustin Hoffman as a star and became the plaintive cry of an entire generation, giving life to otherwise inchoate feelings of alienation and disaffection. A box-office sensation, The Graduate also inaugurated (along with Arthur Penn's Bonnie and Clyde and Dennis Hopper's Easy Rider) a new cycle of youth-oriented films which resurrected the moribund American film industry. Some of the film's satirical elements were overlooked at the time; Nichols was prescient enough to realise that the younger generation had little with which to replace the empty values of their parents. Nichols next chose to adapt Joseph Heller's complex, cult novel Catch-22 (1970). A box-office disappointment (in a year which saw Robert Altman's M*A*S*H emerge as the ultimate anti-authority comedy), Catch-22 now seems a noble, if failed, attempt. Nichols and screenwriter Jules Feiffer enjoyed more success with Carnal Knowledge (1971), a film which confirmed the star status of Jack Nicholson and resurrected the career of Ann-Margret. Carnal Knowledge was ahead of its time in its trenchant examination of sexual politics - a theme to which Nichols has often returned, most notably in another Nicholson collaboration, Heartburn (1986). Although best known for his comic work, including the deftly handled satire on office politics, Working Girl (1988), Nichols has also made a substantial contribution to serious screen drama. Silkwood (1983) demonstrates a keen sensitivity to the plight of women in a male-dominated society, as well as a strong sense of how any member of that society can be imperiled by dehumanizing systems, like big business or government. He is also known for getting great performances from non-actors or actors whom no one took seriously: Cher, Art Garfunkle, Candice Bergen, Ann-Margret. Nichols continued producing for TV, including the series "Family" (ABC, 1976-80) and "The Thorns" (ABC, 1988), about a New York couple living beyond their means. The telegenic family could also be found in his 1990 feature effort, Postcards From the Edge. Carrie Fisher adapted her successful expose of a showbiz mother to good effect, and Shirley MacLaine and Meryl Streep put on quite a show as an addictive mother and daughter. Nichols next film, the dramatic Regarding Henry (1991), was not a box office success, despite the presence of Harrison Ford. The film's reception echoed that of Nichols, slump in the '70s, a period that included the venture The Day of the Dolphin (1973). He recuperated somewhat by producing the Oscar-nominated, The Remains of the Day (1993) In 1994, he directed Wolf, a werewolf picture starring Nicholson and Michelle Pfeiffer, undergirded by the theme of savagery as a way of uncovering inner strength. The pairing of screenwriter/novelist Jim Harrison and Nichols received reasonably good notices for the film, a metaphoric character study rather then simply a horror flick. In 1996, Nichols directed a pet project, the American remake of La Cage Aux Folles. Working from a script by Elaine May, The Birdcage was a palatable depiction of homosexuality played for farce. Starring Robin Williams and Nathan Lane, it became one of the first box office hits of the year. Nichols has been married to TV newswoman Diane Sawyer since 1988.